QPB9318 - Front End Module (FEM) - RFMW UK, Ltd. 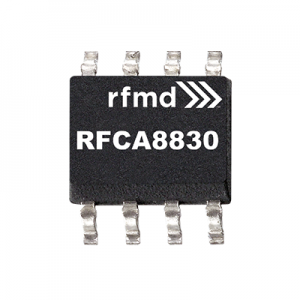 The QPB9318 is a highly integrated front-end module targeted for TDD base stations. 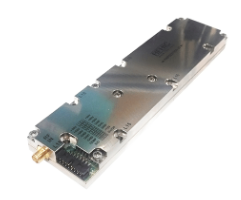 The LNA switch module integrates a two-stage LNA and a high power switch in a dual channel configuration. Power down capability for the LNAs can be controlled with shut-down pins for the module. 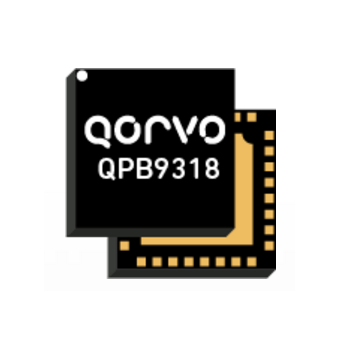 The QPB9318 can be utilized across the 2.3 – 2.7 GHz range to provide 1.3 dB noise figure for operation in the receive mode and 0.45 dB insertion loss in the transmit mode. 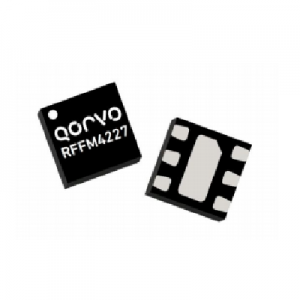 The LNAs utilize Qorvo’s high performance E-pHEMT process while the pin-diode based switch supports input RF power signals of up to 10W average power assuming 8 dB PAR. The QPB9318 is packaged in a RoHS-compliant, compact 5 mm x 5 mm surface-mount leadless package. The switch LNA module is targeted for wireless infrastructure applications configured for TDD-based MIMO architectures. The module can be used for next generation 5G or pre-5G solutions or small cell basestation applications.